I love quick activities. Have you been following along with our A Very Toddler Easter posts on Instagram? Check our other favorite Spring ideas, plus an American Express Gift card giveaway HERE. 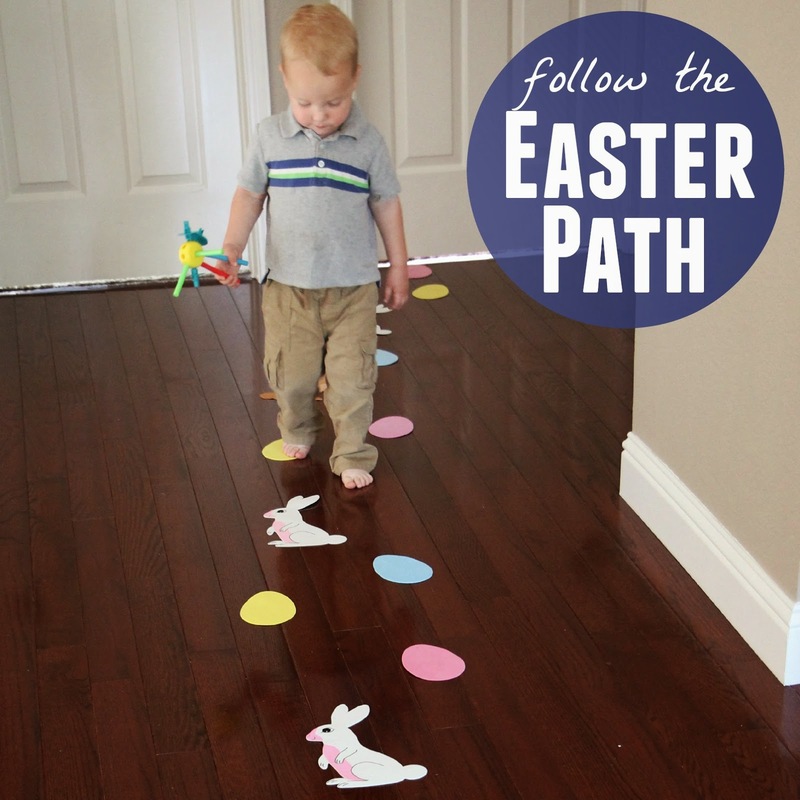 We've shared nine Easter activities for toddlers on Instagram so far and this Easter Path Toddler Activity was one of my favorite simple ideas! Here are some quick instructions so that you can try this activity too. Toddlers are learning how to jump, hop, and balance. This activity can focus on any of those things while your toddler goes on the Easter path. My preschooler also wanted to join in. To get started you just need to tape the Easter shapes in place. We used painter's tape so that it wouldn't hurt our wood floors. Once your shape path is set up then you encourage your toddler (or preschooler) to try and make it across the room only walking/hopping/jumping on the Easter shapes. This will be possible for preschoolers and some toddlers... and some toddlers will just have fun trying but will fall off! Do you have any favorite simple Easter activities? A few of our favorites are included in this Easter activities for toddlers post.